DOS version in DOSBox. 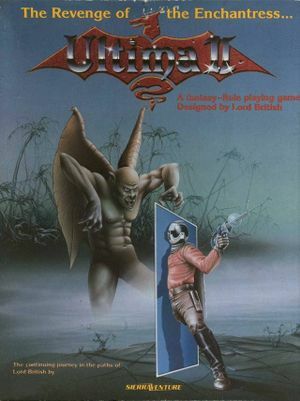 Includes Ultima I and Ultima III. Pre-packaged with DOSBox. Not available in some regions. Pre-packaged with DOSBox. The PLAYER save can't be overwritten in-game; empty the file contents to start a new game. 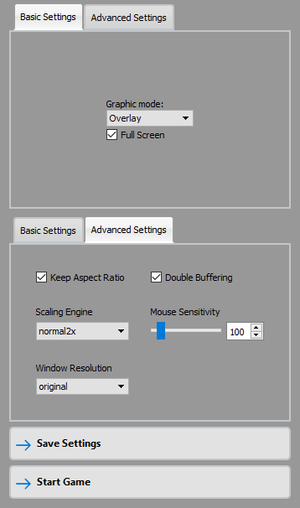 On/off only; toggle with Ctrl+S. Ultima II can't overwrite the character in-game. Empty PLAYER to start a new game. Edit PLAYER with a text editor. Delete everything, leaving it blank. Save the file. You can now make a new character. CGA, EGA Use the Ultima 2 Upgrade for EGA graphics.